Leaked audio of Anthony Joshua has all but confirmed that he will no longer be fighting at Wembley on April 13. Joshua was expected to headline another monster pay-per-view at the London stadium this spring but an opponent could not be found. Deontay Wilder and Tyson Fury are close to finalising terms for a rematch and a deal could not be reached with Dillian Whyte, leaving few options for 'AJ'. And in audio from a leaked phonecall, Joshua seemingly admitted that he is instead set to make his American debut this summer. 🗣 : "I think we're going to have to go to the States!" "Do you know what? 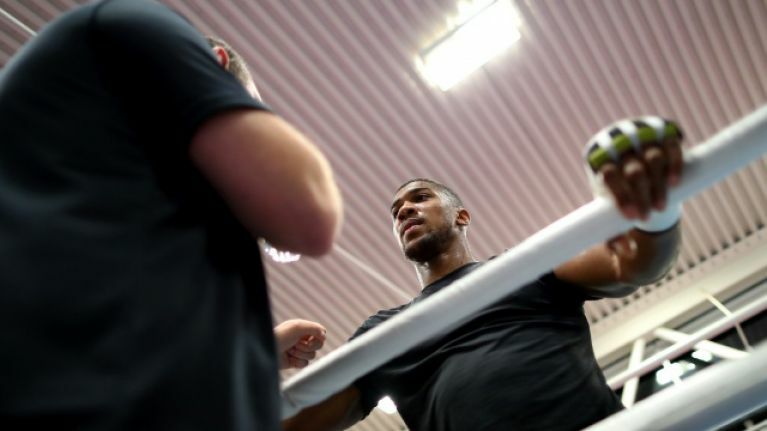 I think we're going to have to go to the states because I've done everything I can and everyone doesn't want to fight," Joshua said on the call. "I think it's about June time, I doubt (April 13). The only thing I can think is that they're trying to make me stop training for two weeks and then say 'yeah, we want to fight!' Just so that I'm two weeks out of preparation and they can catch me dry. Other than that, in my mind I'm going to the States." Nobody knew the context of the audio until the question was put to promoter Eddie Hearn, who managed to see the funny side of his biggest fighter letting information slip to an excitable delivery driver. Speaking to IFL TV, Hearn explained: "So 'AJ' had a delivery last night and they left a note saying that they tried to deliver it and blah, blah, blah. 'AJ' gets home and phones up the delivery guy. The delivery guy realises it's Anthony Joshua and he starts talking to him and records the call and puts it straight out on YouTube, which is weird. "The first thing that I thought was how it actually shows what a decent geezer 'AJ' is because you've got the world heavyweight champion talking to this delivery guy, who's recording the call, and he's actually giving him the time of day. "In fact, he kept talking a bit too much. I spoke to 'AJ' last night and I was like: 'Mate, you wanted to carry on the conversation!'" 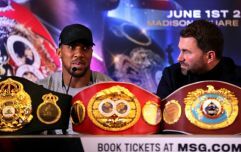 Several reports claim that Joshua is in talks to share the ring with unbeaten New Yorker Jarrell Miller at Madison Square Garden this summer although nothing is official just yet.